SPB - Solar Powered Battery 4kwh | Lithium Power, Inc.
Lithium Power, Inc.'s Patented SPB (Solar-Powered Battery) is a revolutionary product that combines these two clean energies: Solar and lithium technology. Using only renewable energy, the SPB is a complete package that provides a reliable energy storage solution for any energy-usage device that could benefit from a solar application. As an experienced, well-regarded lithium battery manufacturer in solar-powered energy storage, we serve OEM and system integrators only. We currently do not offer our products to residential customers for personal use. Lithium Power, Inc. is devoted to using clean energy technology to promote sustainability and create a better world. 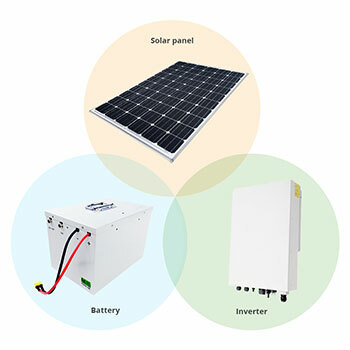 We developed high wattage batteries for solar applications to expand the utility of solar as a renewable energy source. Our patented SPB can be customized to integrate easily into your creative designs and unique industry and location requirements. Please contact us at info@LithiumPowerInc.com for additional information or to discuss potential collaboration projects.